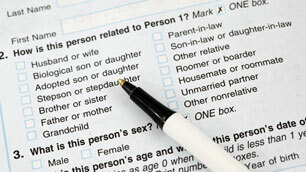 The census is back in the news with the government potentially voting on keeping or scrapping the mandatory long-form. Several years ago (either 1991 or 1995), I was fairly unemployed and Fr. Bert Foliot, SJ, my pastor at the time, hooked me up to work for the Census Canada. All I had to do was go door to door in a particular neighbourhood and help Spanish-speaking people fill out the census form. I must say, it was a very interesting couple of weeks. Now there are some people in Canada who want to scrap the mandatory long-form of the census and I am remembering those days, so long ago. Let me explain: Most people get a short census form – it collects basic information: age, marital status, ethnic background, religion, number of children, that sort of thing. But every 50 or so households receive a long-form census. This one is more involved with all kinds of questions from property ownership to employment, mobility, child care, housing and income. The issue? Some people feel that some of this information should be private and confidential and that the government has no business asking how many rooms your house has – and if one refuses, it should not be a criminal offence. The thing is, many organizations, including the Catholic Church, rely on this information in order to provide services. It’s not a campaign to invade people’s privacy or “big brother is watching.” This information is useful. Here’s my perspective: we expect the state to provide us with various services but then we don’t want to give anything to the state in return. I think that’s silly. From what I remember, most people were happy to fill out the long-form census – they needed help, and sometimes questions would go unanswered, but generally, there were no issues. In fact, I would be happy to fill out a long-form census any time. I don’t believe it’s an infringement on my privacy – I get a lot from the Canadian government and the various organizations that use this data – it’s the least I can do to help them out. Click here to read the letter sent to Minister of Industry, Tony Clement, on behalf of the Canadian Conference of Catholic Bishops, in support of the mandatory long-form census form.